Have you noticed a gray, green, or even yellow mossy looking substance growing on your trees? If so, it’s probably lichen. If you’re wondering what lichen is, why it’s on your tree, and whether it’s harming the tree, then here are the answers! First, although lichen grows and looks plant-like, it’s not a plant. 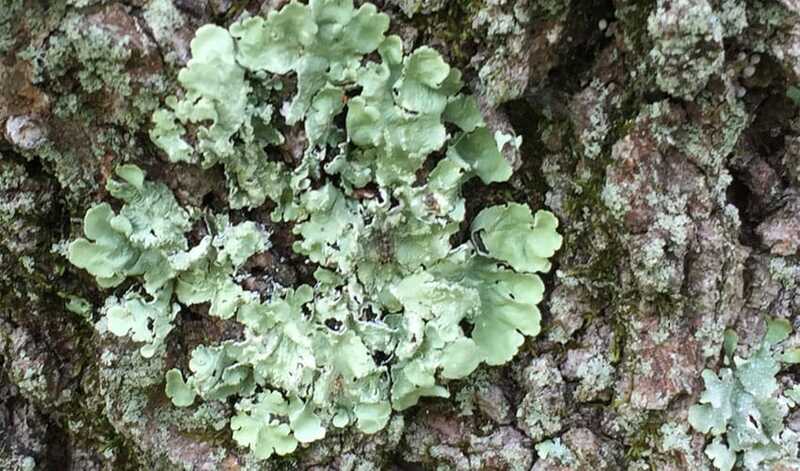 Instead, lichen is the result of a symbiotic relationship between a fungus and an alga or a cyanobacterium, and often one other organism as well. Lichen is commonly found on rocks, the ground, even tombstones and statues – as well as trees. It just needs a place to grow. Lichen is usually the first type of organism to appear after a natural disaster, such as a fire. It can survive when plants can’t, and typically grows on rough surfaces like rocks or old fences. Why Does Lichen Grow on Trees? People often associate lichen with old, decaying or dead trees and assume that the decline was caused by the lichen. In fact, the opposite is true – lichen tends to appear on trees that are already in decline. It’s rarely seen on healthy, fast-growing trees. Lichen prefers sunlight and moisture, so it’s often found in sunny spots that are exposed to rain. If your tree has had a sudden loss of leaves or a branch, it creates favorable conditions for lichen to grow. 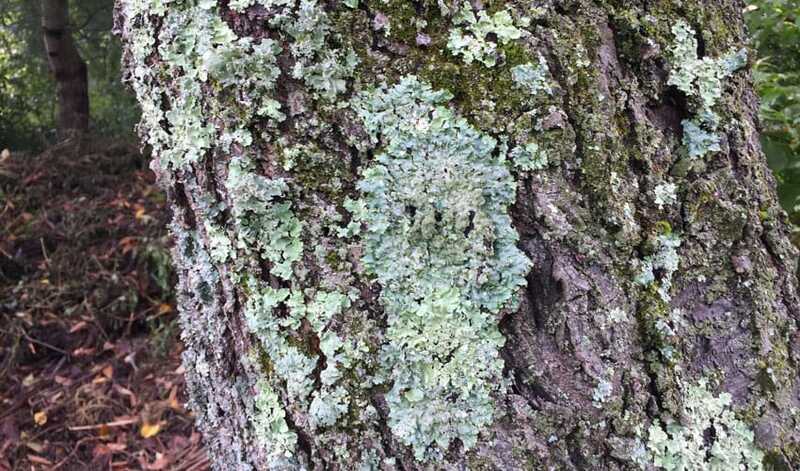 So while lichen is in no way harming your tree, its presence may point to an unhealthy or dying tree (caused by other reasons, such as pests, disease, or improper watering practices). Does Lichen Harm The Tree? Lichen is self-sustaining – it doesn’t take any nutrients from the tree that it’s on and therefore doesn’t harm the tree (although some people consider it unsightly). It gets all of the nutrients it needs from rain and the surrounding air. Because lichen is not a plant, it doesn’t have roots; rather than burrowing into the bark, it attaches to the bark surface. In other words, the lichen is not harming your tree. Does Lichen Have Any Benefits? Surprisingly, lichen actually has several benefits. It’s a natural air quality indicator – it absorbs everything in the environment around it, but only thrives when the air quality is clean. In fact, scientists use lichen as a measure of air quality in different geographic areas. It also converts carbon dioxide to oxygen and absorbs any pollutants that are in the area. Lichen has been used for dyes (there are some very colorful types of lichen! ), for clothing, decoration, and even for antibiotic uses – you might find it as an ingredient in your deodorant or toothpaste, for example. Many kinds of wildlife are fond of lichen as well – deer use it as a food source, and birds like hummingbirds use it in their nests. Other critters, like frogs, enjoy it as a snack. Is Lichen Similar To Moss? While lichen is often confused with moss, it’s a completely different organism. They can look somewhat similar and are often found near each other, but moss prefers shade and lichen loves sunny spots. The confusion is only exacerbated by names like “reindeer moss” or “caribou moss” that are actually lichens (not mosses) and are popular food sources for caribou. Should Lichen Be Removed From a Tree? There’s absolutely no need to remove lichen from a tree. In fact, removing it can do more harm than good. You may injure the bark by trying to remove the lichen, ultimately causing damage to the tree and providing entryways for diseases and pests. However, if you really don’t like the look of lichen, the best thing you can do it prevent it from appearing in the first place. You can do that by ensuring that your trees remain healthy (fertilization and soil management can be helpful), are regularly and properly pruned, and that they’re appropriately watered throughout the year. If you notice lichen appearing on one of your trees, it could be a sign that the tree is in decline. 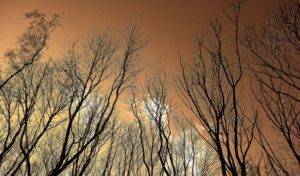 Consider having one of our Certified Arborists examine the tree to determine what’s going on and whether treatment is necessary to preserve the health of the tree.